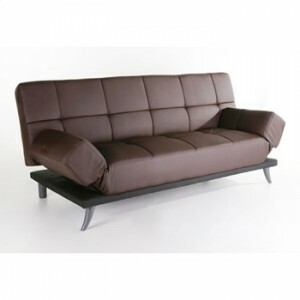 Deciding on purchasing convertible sofa beds? The latest trend seen in furniture stores throughout the country is the innovative convertible sofa. This is a hybrid furniture piece which looks like a couch but converts to a bed with ease. The ability to transform a product from one function to another is not only cool and appealing, it also happens to be the perfect solution for many consumers. With many homes having limited space, having a sofa which converts to a bed makes perfect sense to make use of every inch of space you do have. One of the best features of the convertible sofa is its versatility. It looks stylish and has the same look as a regular sofa. The secret feature is the built in click clack mechanism mounted between the seating and back cushion. Think of these as hinges which allow the back to fold down to create a bed. The reason for the name is that when you lift the back to unlock its position, you will hear a click. Then as you fold it down, you will hear a clack. Hence, the name click clack sofa bed. Convertible sofas come in many different styles. Most of them seem to be modern and contemporary in design. There are options of having arms or no arms on the couch as well as having leather or microfiber fabric. I’ve seen them with wood legs and also chrome and stainless steel legs. It all comes down to what style you’re looking for your home. The microfiber option is great as it’s very easy to clean. It basically looks and feel like suede which gives it a quality appearance. The fibers are extremely dense so it resist stains and repels spills naturally. A pretty cool invention if you ask me! As far as the comfort of the cushion goes, they are definitely more comfortable than sleeping on a couch. The seating cushion has been designed to offer support during seating and still be relaxing as a bed. You won’t have to worry about sleeping on a hard mattress. The manufacturers have done a great job in developing the product so it can be used when guests arrive at your home and you don’t need to feel guilty on having them sleep on an uncomfortable bed. Convertible sofa beds are simple to set up and can usually be easily done by only one person. Just move the sofa away from the wall to allow enough room for the back to fold down. Simply pull the back cushion towards you until you hear a click sound which means it’s unlock. Now, fold the back down towards the floor. You now have a bed to sleep on. Pretty easy huh? If you are looking for a stylish alternative to the traditional sofa bed, the convertible sofa may just be the solution you’re looking for.